I was having a lovely web browsing evening several months ago when I came across some of Janie’s work in a Gallery. I tracked her down via her website and explained about the exhibition. Her response was immediate and positive – This sounds wonderful. I’d definitely like to be involved. I look forward to hearing back from you soon. 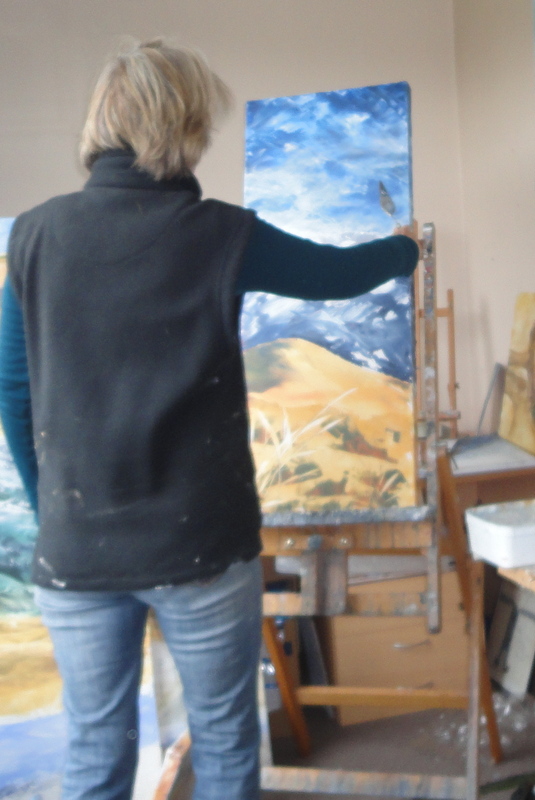 With heaps of other commitments – extended family visiting, an April exhibition…….. I’m extremely pleased Janie has joined our Bellamys at Five artists. I thought we could start with a painting of mine from 2011. It was one of two that I did at the time. I wanted to explore the parallel worlds of children, how they are among us but also living in their own space often of huge imagination. On the other hand I don’t want to over explain the painting because if you zoom into the detail you’ll get it!